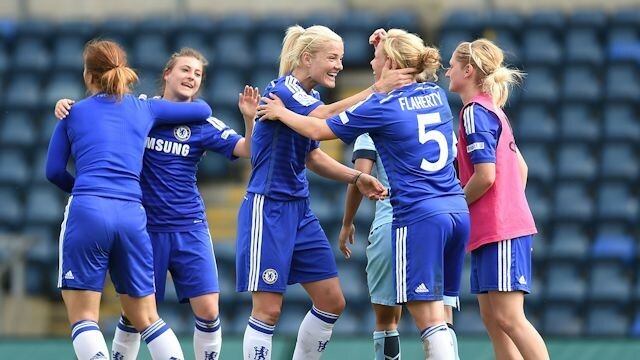 The more teams that are on FIFA – both male and female – the better the game will be. We need to be seeing more representatives from the lesser leagues in the football world so we have more choice when it comes to settling a dispute with out best mates. You know, the “I think I’m better than you so let’s settle it with a game using two star teams from the Ukrainian Premier League” debate. They’re always fun. Another idea could be the introduction of classic teams. How great would it be to be able to play with or against the likes of the England ’66 World Cup winners or Arsenal’s invincibles? However, when the time comes that you’ve been playing FIFA for a couple of months, those tunes that once held a special place in your heart are now a complete pain to listen to. You’ve heard them so many times that you are forced to mute your TV and stick Spotify or something on instead. 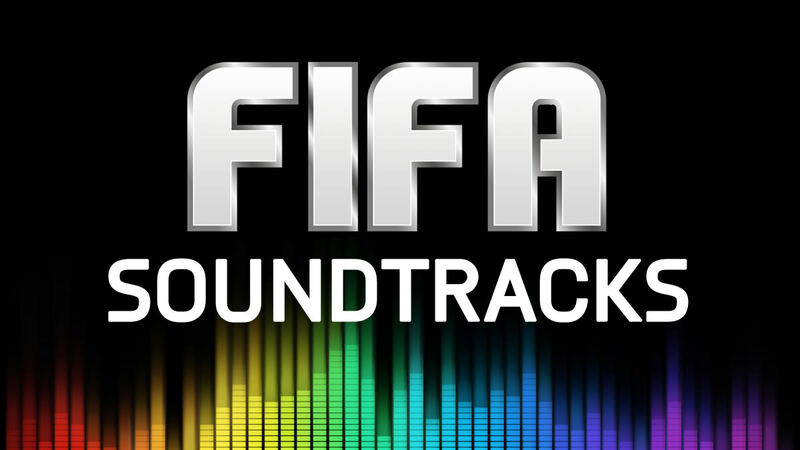 EA Sports and Spotify need to come together and have some sort of in-house system where there are literally thousands of tunes to choose from. That way, the monotony of listening to certain ditties is destroyed. Oh FIFA 97, we didn’t know how good we had it. You don’t need me to tell you how great five-a-side was in those early games. Well, that’s if you’re about 25 or so. So if you’re younger, IT WAS TOTES AMAZEBALLS. Playing as your favourite pro teams on an indoor court was just… different. It was great. How about instead of certain drills like tackling and stuff nobody wants to do before a game kicks off, we have a short game of five-a-side instead. You know, just to warm-up our fingers and whatnot. Or, make indoor football its own section of the game entirely like it was back in the day. Either way, given the nostalgic appeal to older audiences/intrigue to younger ones, it will be a winner. Plus, since FIFA Street is dead so we need something like this to fill the gaping void in our lives. I’m thinking about you chaps and chapettes who don’t have access to online play here… Be A Pro, career mode, and smashing your mates only takes you so far, doesn’t it? How about we see a couple more modes added to FIFA. I’m thinking something along the likes of a referee mode, or a chairman mode. 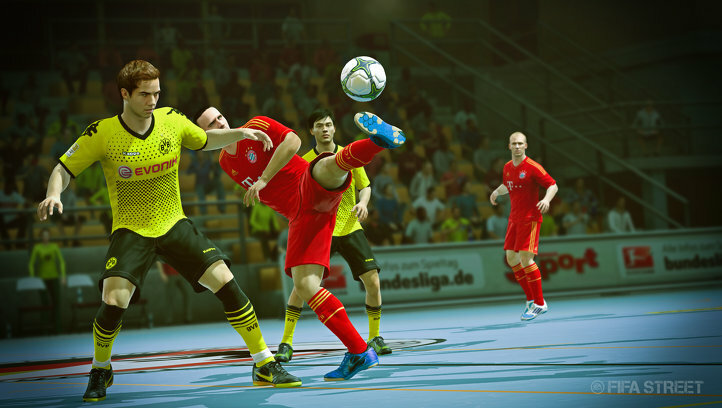 Referee mode would run like Be A Pro, where you would fill the referee’s boots and officiate a match live from the pitch. Starting off in the park on a Sunday morning, good performances would see you rise the ranks with the aim of reaching the World Cup Final. Chairman mode would be similar to football manager, but different enough that no one would notice. You would be in charge of hiring and firing managers, a club’s finances, setting ticket prices and building new stadiums. You know, all the things that go on above a manager’s head at a football club. 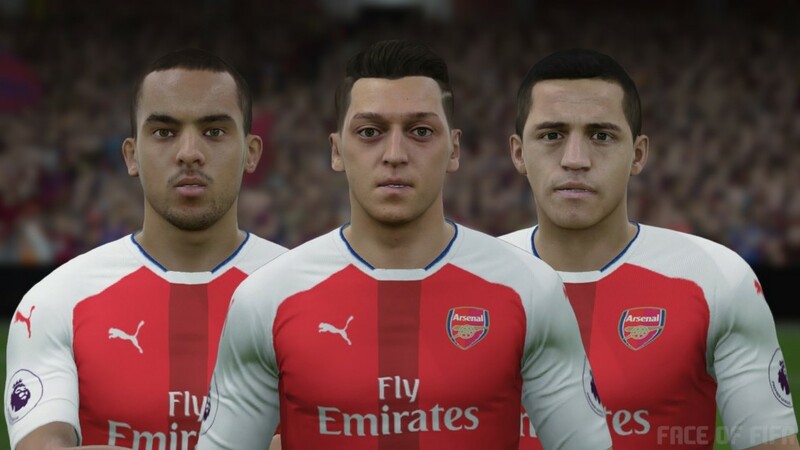 Either way, a bit more bang for our buck wouldn’t go a miss in FIFA 17. It’s nothing less than they deserve. 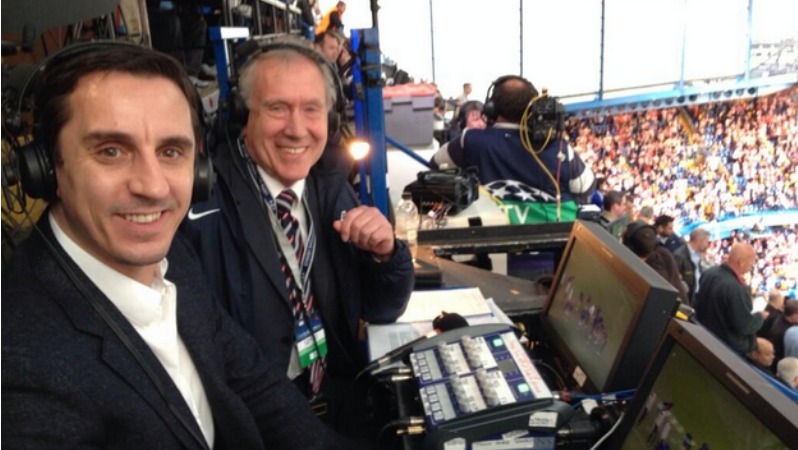 Winning the Premier League, no matter how unfashionable their players may be, is the pinnacle of the English game and they should be rewarded for that achievement. I know that a team’s score on FIFA is worked out by averaging the players in a certain a position’s score, and I’m not for one second demanding that Danny Simpson be made an 85 and one of the best right backs on the game. 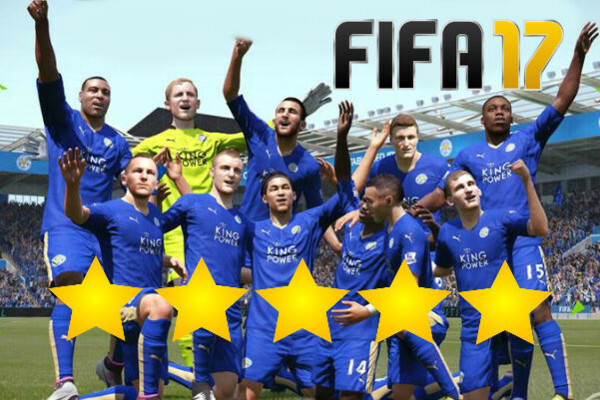 FIFA should maybe look to change they way they work a team’s star rating out, or should look to make Leicester an exception. Their units, especially in defence, are better than any single player could ever be! 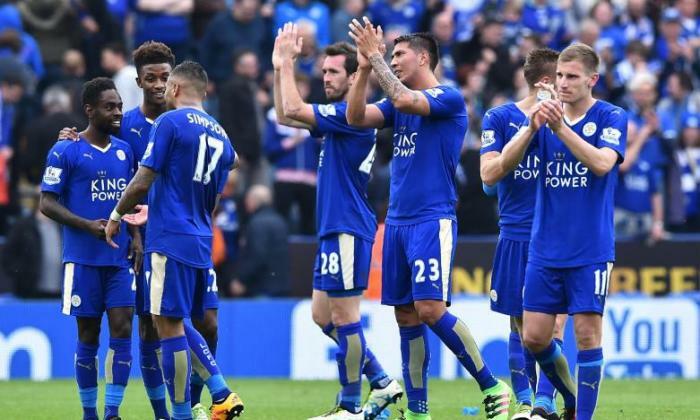 Either way, Leicester need to be one of, if not the best English team on the game as they were the best English team last season. The league table doesn’t lie, as they say. Dilly Ding Dilly Dong! Let’s take a look at the top 10 Arsenal players likely to have the highest ratings in FIFA 17. The English man has scored four Premier League goals this season so far and two in the Champions League. He has been somewhat favored by Arsene Wenger for the striker position replacing Giroud in many games. He has also scored three times for his country in just four appearances. We believe that he will have an 81 rating in FIFA 17. Welbeck has scored three times in just five Premier League appearances making him the most efficient goal to game rate in Arsenal squad. He has also contributed his country, England to qualify for the Euros by scoring six goals in five qualifier games. Welbeck rating in FIFA 17 should be 81. He has more to offer but he keeps on getting injured. The French striker has already scored 12 in Premier League, 3 in the FA Cup, five in the Champions League and twice for his country. He has proven himself as the number one striker in Arsenal’s squad. We expect his rating in FIFA 17 to be at least 82, but we would not be surprised if he gets an 83. With 21 appearances for Arsenal this season, Mertesacker has just managed to get seven clean sheets. The World Cup winner was sent off against Chelsea, which raised a lot of criticism about his defensive abilities. We believe that his rating in FIFA 17 will be 82, one less than that of FIFA 16. Koscielny has proved himself as one of the most efficient defenders for Arsenal this season. He has managed to keep 10 clean sheets and has scored three times so far this season. The French defender should at least have an 83 rated card in the next FIFA game. With three goals and same number of assists in the Premier League so far, Arron Ramsey has had a decent season despite being injured a number of times. He has helped his side with a fine overall flow of the game. The Welsh should have an 84 rated card making his rating go up +2 from FIFA 16. The Spaniard has not started most games this season, but still has managed to score three and assist three. He has been injured since last December, but was efficient for the club until then. We think that since he has not made much appearances this season EA will downgrade his 85 FIFA 16 rating to 84 in FIFA 17. Cech has recovered his Premier League career this season after making 12 clean sheets in the league so far. He was so good that EA upgraded his 85 rating to 86 in the winter upgrades. 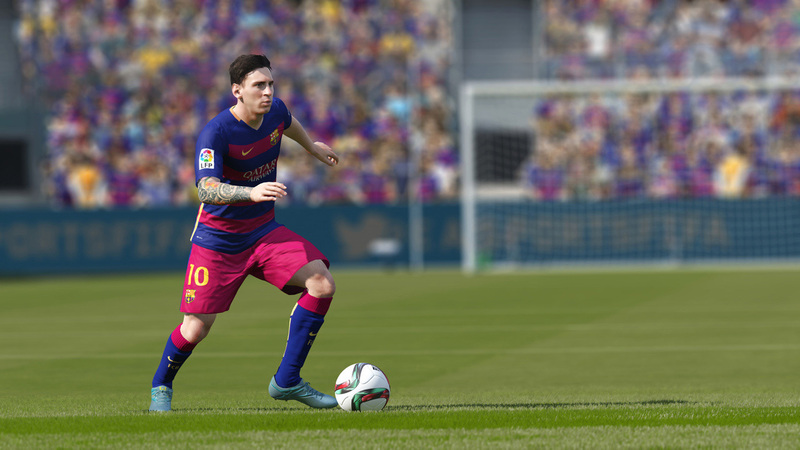 We think that FIFA will stick with the 86 rating for FIFA 17. The Chilean was Arsenal’s best player before he was injured and forced to step down. With 22 starts for Arsenal, he has managed to get four assists and seven goals. He is one of the players responsible for Arsenal competing for the Premier League trophy this season. We think that the two time TOTW player from Arsenal will have an 87 rating in FIFA 17. The World Cup winner has a stunning 18 assists and five goals for the Gunners this season so far. He is Arsenal’s most efficient player in all competitions after setting up most of Arsenal’s goals. The German has made it into four TOTW (team of the week) sides and is a top contender to make it into TOTY (team of the year). 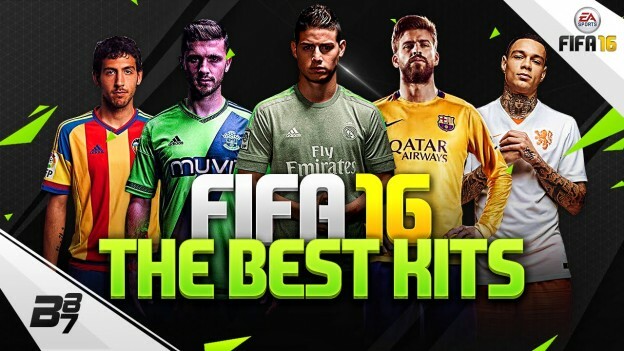 We think that Ozil will still have his 88 rating from FIFA 16, but it would not be a surprise if he gets an upgrade. Let’s take a look at the potential Top 10 Manchester Players in the upcoming FIFA 17 installment with their predicted ratings. The former PSV man is not having the season he was expecting. However, he has managed to get five goals in all competition in less than 30 appearances. Depay is still young and has a lot to offer should he get more playing time. We expect a FIFA rating downgrade for the Dutchman to 80 from 81. Martial is Manchester United’s highest goalscorer with eight goals in the Premier League, three in Europe and two in domestic cups. He has been featured in the FUT TOTW for a record of four times; more than any United player ever. Martial has shown real character and potential growth this season, so he will most probably get an 80 rating. The Argentine is one of the important defenders behind Manchester United’s good number of clean sheets this season. He has however missed a ton of matches with only twelve appearances. Rojo’s FIFA ratings will downgraded from 81 to 80 considering his missed games. Blind has been Louis Van Gaal’s favorite player in the season so far with 30 Premier League starts from total 33. He has managed to keep his managers’ trust with 13 clean sheets. The Dutch player has played in all defensive roles and has proven his versatility this season. His FIFA 17 rating is most likely to be 81. The Spaniard has not featured in most of the matches this season but he has performed very well on those he has. With three goals and two assists in the Premier League and two important goals in Europe, Herrera has salvaged anything he could from the season. His rating in FIFA 17 is expected to be 82. Smalling is Manchester United’s top defender this season. He has shown aggression as well as intelligence in his games this term. The English defender has kept over 15 clean sheets and even made it into the TOTW. 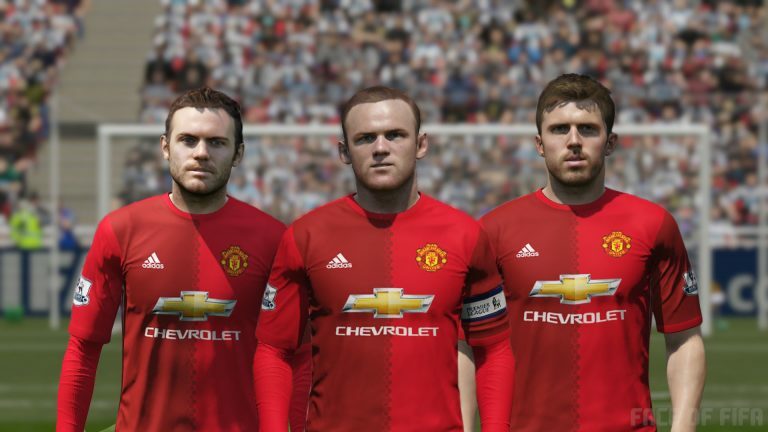 FIFA 16 winter upgrades increased his initial rating of 79 to 82. Mata has played almost every game for Manchester United this season, but his stats are nowhere near as expected. He hasn’t managed to score and assist as freely as he used to. He has scored over 8 goals and assisted over 6 times this season, but the Spaniard is having a bad season if we base it on his lofty standards. His FIFA 17 rating will not be changed from FIFA 16 which is 84. The German World Cup winner has barely made any prominent impact on the team after his arrival this season. He has managed to play some long passes and assisted as a defensive midfielder, but his move to Old Trafford is considered as a failure. With Schweinsteiger ageing, we can expect his ratings to drop in FIFA 17. The Manchester United captain is performing way below his standards this season. Be it with his goal drought or absence due to injury, Wayne Rooney definitely had a bad season. However, he has managed to reach a double-figure goal tally in all competitions. He has managed to be in one TOTW, but we don’t expect his rating to improve in FIFA 17. If it wasn’t for David De Gea, Manchester United would probably have one of Premier League’s worst defensive records and would not be fighting for a Champions League spot this season. The flying Spaniard has made some impossible saves for his club throughout the season. He will have an upgraded rating in FIFA 17, most probably 88. 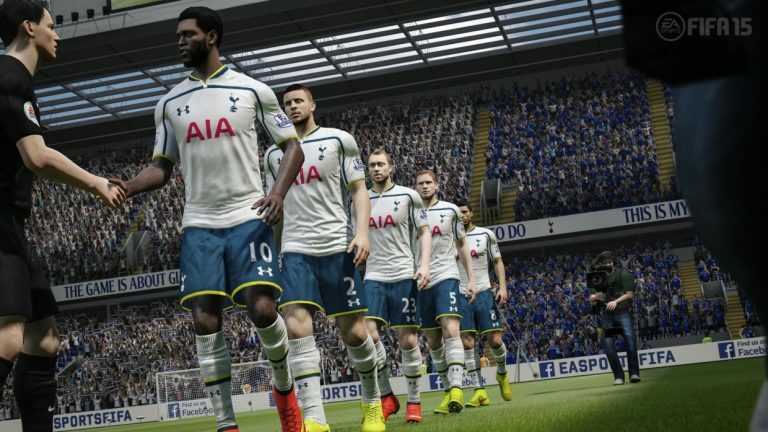 Today, we talk about the top 10 Spurs players to have the highest predicted rating in EA’s new FIFA 17. Is your favorite on the list? Vorm has made only one Premier League appearance for the club, two in domestic cup action and one in the Champions League. He has finished the majority of them without conceding. He will have a FUT card rated 80 in FIFA 17. Having more than a few matches under his belt, Dembele has shown his potential when his side needed the most. He has only scored three and assisted one as a midfielder, but is the unsung hero of the side. The Belgian will still have the same rating of 80 in FIFA. The English speedster started the season well with assists and clean sheets, but his form stalled mid-season. 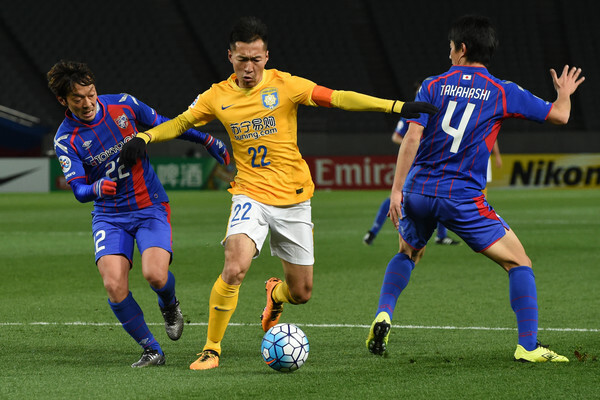 He missed a few games due to injury, but was quick to recover and continue his good form. He will have a FIFA rating of 80. Lamela did not have a very steady season as he had expected, but he showed several glimpse of his quality to steer his side into victory. In 30 appearance, he has scored four times and assisted seven others in the Premier League. He will have a +1 upgrade to his FIFA 16 ratings. By far the best defender in the North London team. He has made every game for his side this season and has managed to keep 13 clean sheets, score four goals and assist three. The Belgian also got an international call up and is consistent for his country too. His rating in FIFA 17 should be 82 or 83. Vertonghen was Spurs most consistent defender until he got injured for ten or so games. He has come back and continued to keep his spell intact. In just 25 Premier League starts, he has helped his side keep half of them without conceding. The Belgian center back will have an unchanged rating of 82 in FIFA 17. Kane is Tottenham’s highest goal scorer and most probably the golden boot winner this season. He has shown real maturity and skill to become one of the fiercest attackers in England. He has six different in-form cards to his name in this year’s FUT season. Many fans would disagree with this rating claiming that he deserves more, but we think +6 from FIFA 16 is an amazing improvement. Again, one of the best players in the Spurs side. The Dane was brilliant for his club to fight for the title. He has assisted over fifteen times and scored more than 8 goals in all competitions for Spurs. He stood as a vital midfielder for the club all season. He will have an updated rating of 85 in FIFA 17. The French goalkeeper is the Tottenham skipper. He has led his side through difficult spells and has helped to turn the score around when needed. With over 15 clean sheets in the season and a numerous amount of saves, he remains one of the best in the Premier League. Lloris is expected to have a rating of 86 in FIFA 17. Today, we take a look at the potential top 10 Chelsea players to have the highest ratings in the FIFA 17 game. The England international has missed a lot of football after suffering from ankle/foot injury. He has managed to get only two clean sheets from 19 appearances. He has been replaced by Zouma’s brilliant performances in his absence. His FIFA 17 rating might be downgraded to 82 or to 81. Willian is Chelsea’s best player this season by far with four goals and nine assists. He has been brilliant for the Blues climbing the table and has proved efficient in defending as well. His overall individual performance deserves an appreciation in FIFA 17. His rating should be 83 or 84. Yet another flop season in the Premier League for Falcao despite changing teams after desperation. He has managed to score just one goal for Chelsea in all competitions. The Colombian will most probably have the same rating as before. Terry was criticized in the opening of the season and was even left out of major games. But he has managed to get somewhat of a comeback since then. Although, his defensive records are not good, he has displayed his exemplary leadership qualities. We are almost certain that EA will downgrade Terry as they hate aging players. Matic has been involved in almost every game for Chelsea this season, but he has not managed to maintain his high standards as expected. He has been booked a ton of times and also was sent off. His FIFA 17 ratings should be around 84, but EA could downgrade him to even less. Pedro had a bright start to his Chelsea career, but his individual performances went downhill along with the club. He has however managed to scored four times and assist three more in the Premier League. He has also scored for Spain to help them reach the Euros. Pedro’s FIFA 17 rating will most probably be around 84. The Brazilian wonder kid has not had a perfect season, but has helped his side a lot to make a comeback to the top half. 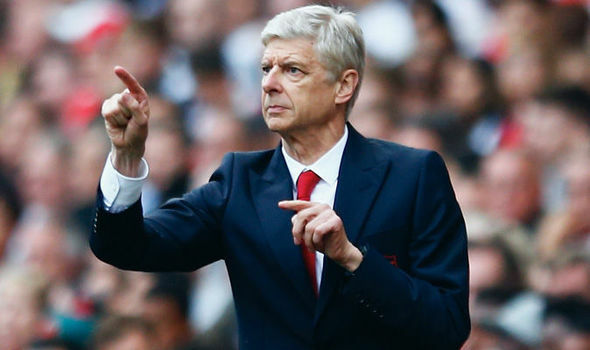 He has managed to get into one team of the week and has proved himself in the FA Cup and Champions League. 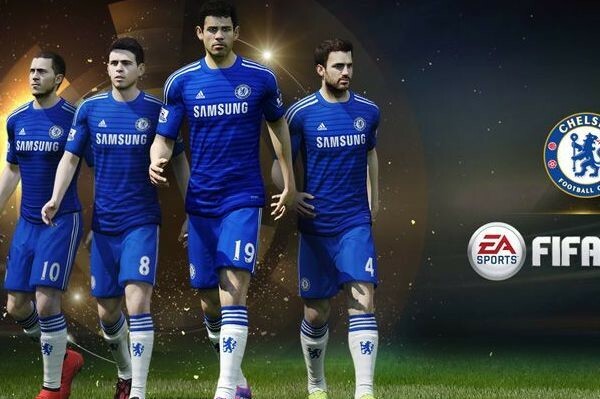 Oscar most probably have the same FIFA rating as before, an 84. The Belgian goal stopper missed many games early on in the season due to surgery. He has managed to keep just four clean sheets from 19 starts. 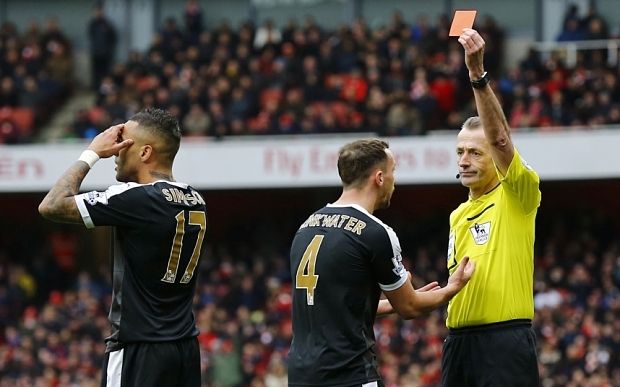 He even got sent off in the very first Premier League game. Despite his stats being somewhat disappointing, we think that EA will not downgrade the player considering that the 23-year old has still time to recover and improve. The Spaniard was not as good as he was last season, but has occasionally lifted the team to earn vital points. Fabregas has scored and assisted four times this season and will be key to the team if they want to finish high. However, he might be downgraded to 86 from 87 in FIFA 17. Costa has helped Chelsea salvage their season. With 11 goals in 24 appearances and six assists, the striker has proven himself vital for Guus Hiddink’s side. He managed to get into one team of the week team with an 87 rated card. Costa will be upgraded to 87 from 86 in FIFA 17. The Belgian midfielder has had a very poor season compared to the one he had the pervious term. Hazard has scored just one goal this season which has led to a downfall in his reputation. He was one of the highest-rated players in FIFA 16 with an 89 rated card. But, we believe that EA is going to downgrade the player to 87 in FIFA 17. 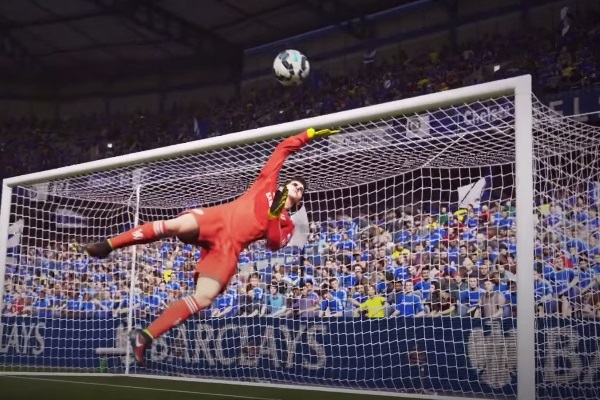 Will Buffon be a Legend in FIFA 17? The last time we looked at FIFA Legend was at Arsenal’s Henry. It was announced by the legend himself that he will be in the game. What a great way to continue on the topic, Will Buffon be included in FIFA 17 as a Legend? This question has become even more interesting as he has just renewed his contract until 2018. 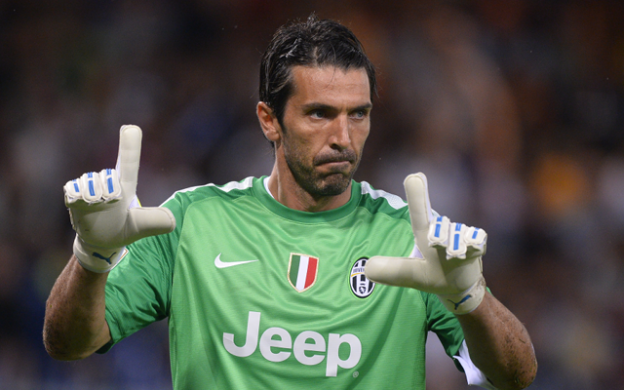 Ever since he was eighteen, Buffon has proved himself as one of the best in the world. He has shown real talent for his country and his club Juventus. 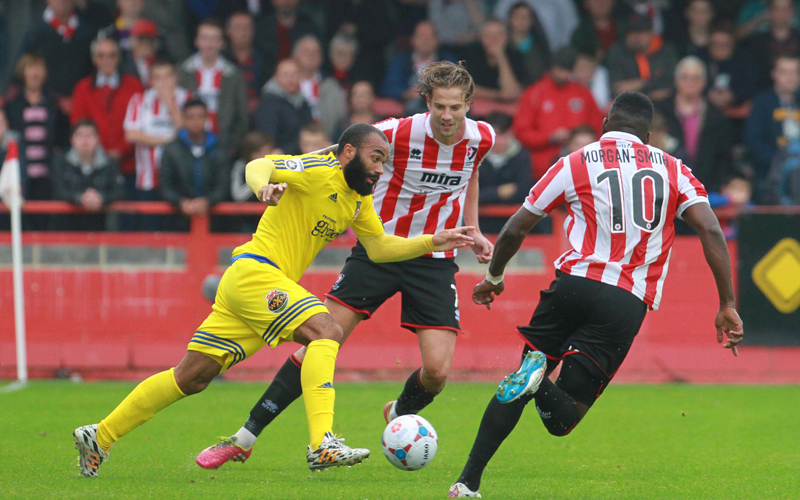 The player recently extended his stay at The Old Lady adding two years to his current contract. It seems he will never retire. It is awesome for Buffon fans that they will get to watch his play for at least two more years but the FIFA fans might not be that excited about his contract extension. It is unlikely that EA Sports are going to add him as a Legend in FIFA/ FUT 17 because he still is a registered goal keeper in the Italian Serie A. We sure hope that he will get his well-deserved Legend Card after his retirement. And you can use fifa 17 coins to buy the Legend Card in FIFA 17. It would be amazing add to your FUT if you get a 93 rated goalkeeper.